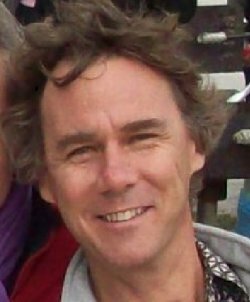 Philip Laing is a respected workshop facilitator focusing on lesser-known esoteric practices that provide powerful tools for personal transformation. He has been teaching the Flower of Life and Awakening The Illuminated Heart® workshops since 2005 to individuals and groups from diverse backgrounds after a long-held interest in human potential and purpose eventually led him to the work of Drunvalo Melchizedek, founder of the Flower of Life Workshop. Phil is a seasoned guide in exploring introductions to sacred geometry and the human lightbody in relation to personal integration, ascension and spiritual growth. His natural sensitivity and experience make him a catalyst in illuminating and supporting new possibilities for practical applications in realizing the multidimensional self. He is also an intriguing presenter of the more controversial elements in the metaphysical area, alternative history and their current challenges for global society. Philip collaborates with a growing number of organizations and is currently developing his own programs as an independent facilitator. His authentic program delivery and caring instruction is sincere, articulate and thorough and has resulted in his being contracted throughout the US and internationally. In addition, Phil Laing teaches the simple but powerful KUNLUN® System as developed and taught by Max Christensen, a rare Taoist internal alchemy practice of Self-Awakening. The regular practice of this �? ?formless form�?� of nei gung, likewise results in the transmutation of one�? ?s body and consciousness from matter into pure energy or the lightbody. He has also learned Theta Healing from Vianna Stibal, developer of this technique that uses focused thought and prayer in the theta brainwave state to effect healing change on physical and emotional levels. Drawing on his own life experiences, he began exploring the nature of reality, truth and perception as it related to personal happiness and healing in 1987. This led to meetings with modern day saints from India as well as remarkable teachers and individuals from the West. Diverse, personal studies in early Christian history, ancient cultures, metaphysics and suppressed knowledge of law, science and religion helped to prepare him for his current role as a facilitator, providing a heart-based approach to affairs of the spirit. Phil Laing has a BA. degree in Finance from California State University, Fullerton. In addition, he has 14 years experience in the fine art business as an art consultant and assistant director of a retail gallery. He currently lives in Northern California. I enjoyed taking the workshop with Phil. He is a good teacher and I learned a lot. There is a lot of material to cover and it was well presented. This was an awesome and unforgettable experience. Very profound. I LOVED it! Phil is a fantastic facilitator. I've since taken three other workshops with him. He takes the time to answer everyone's questions and bring everyone along. He is super intuitive and compassionate. He sets a fun, relaxed, safe and respectful tone throughout. Very approachable and down-to-earth. A real gem. I first took the workshop with Drunvalo in August of 2011 in Sedona so it was good to review and deepen and to create a local meditation group. Everything regarding the workshop was great. I realize that Phil needed to compress everything normally presented in a 5-day workshop into 4 days. Might it have been better presented in 5 days? Maybe. And, for someone like me, maybe not. It has been important for me to experience the meditation on my own, in my own space. Things happen which I have never experienced in meditations I have done in the past. I am having to feel my way through. I have been able to connect with Phil regarding questions which have come up for me. I appreciate his willingness to be there for me. And, I am finding that answers may be more available for me the less I try during my meditation practice. I do miss discussion of other's experiences as that often fills gaps in my thought process. Over all, I am loving this meditation practice. Am I doing it right? Maybe not yet. And I think the practice, itself, will take me where I want to go. Thank you!!! its was a good class probably better now as it was the first time my teacher taught this version however his depth of personal knowledge and integrity was impressive. It would have been helpful if he had one of the monitors that he described from heart math that tells you if you have entered the tinny space of the heart. I felt I really got a lot out of this class. Thank you so much, Phil! Phil was excellent. This was my first workshop without Drunvalo and Phil was an ace of a teacher. No loss in information or impact or experience. The teachings were presented very well indeed and I am meditating daily. It is probably me and not the healing in the workshop which causes me to still have my emotional tramas. My chiropractor tells me that I am holding on to stresses & the adjustments do help.